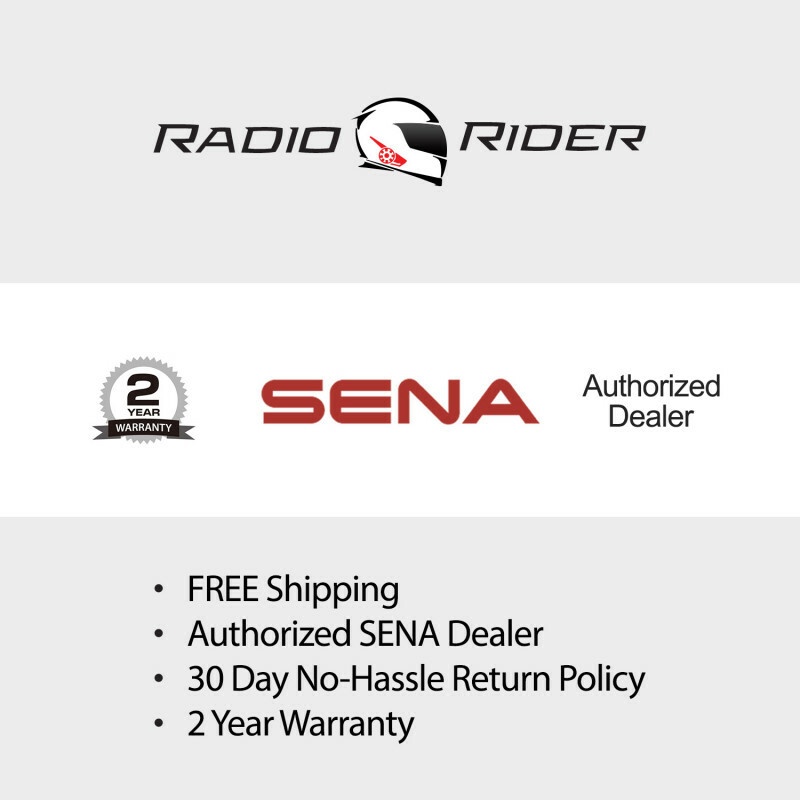 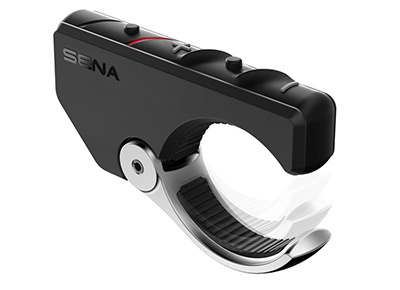 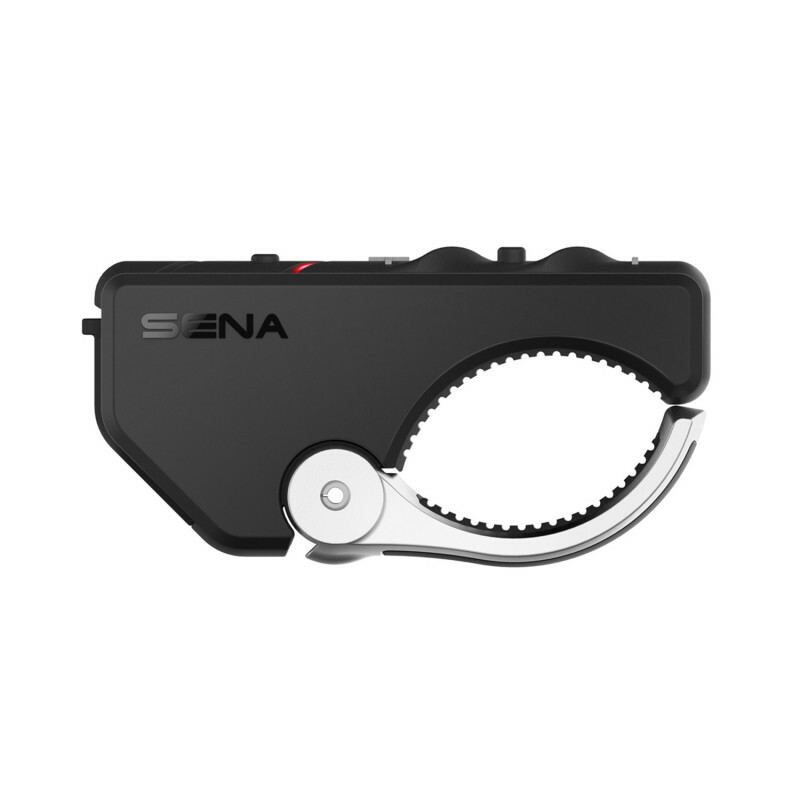 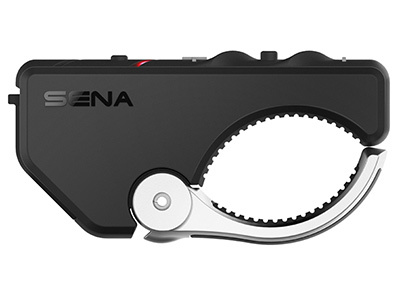 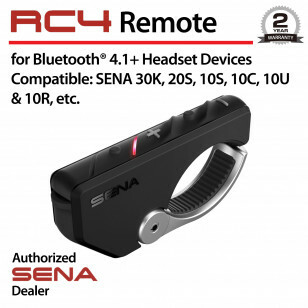 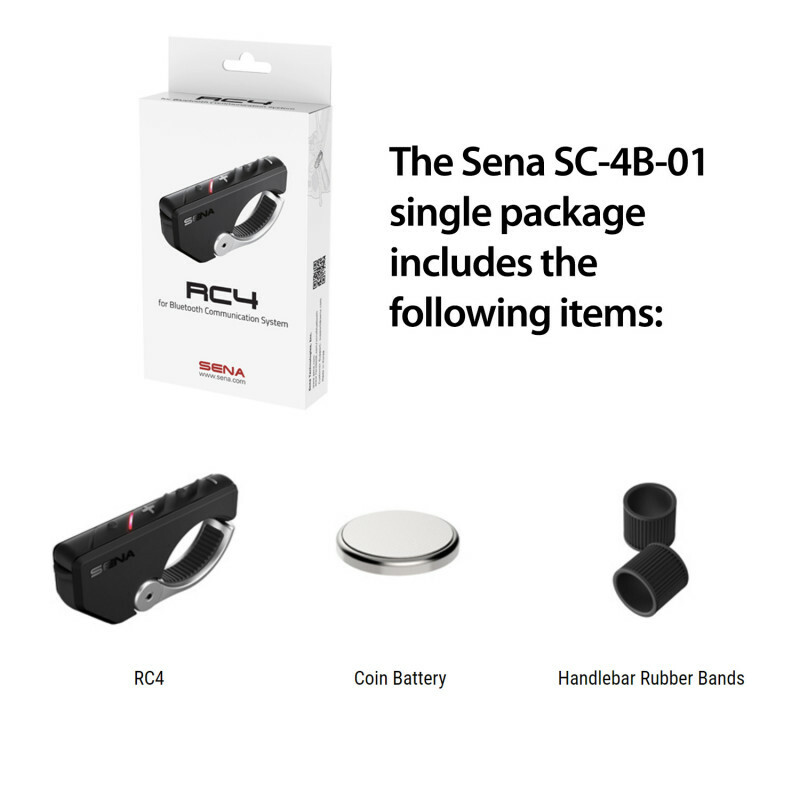 The RC4 offers complete control of your Sena Bluetooth Headset at the tip of your fingers, without the risk of removing your hands from the handlebars. 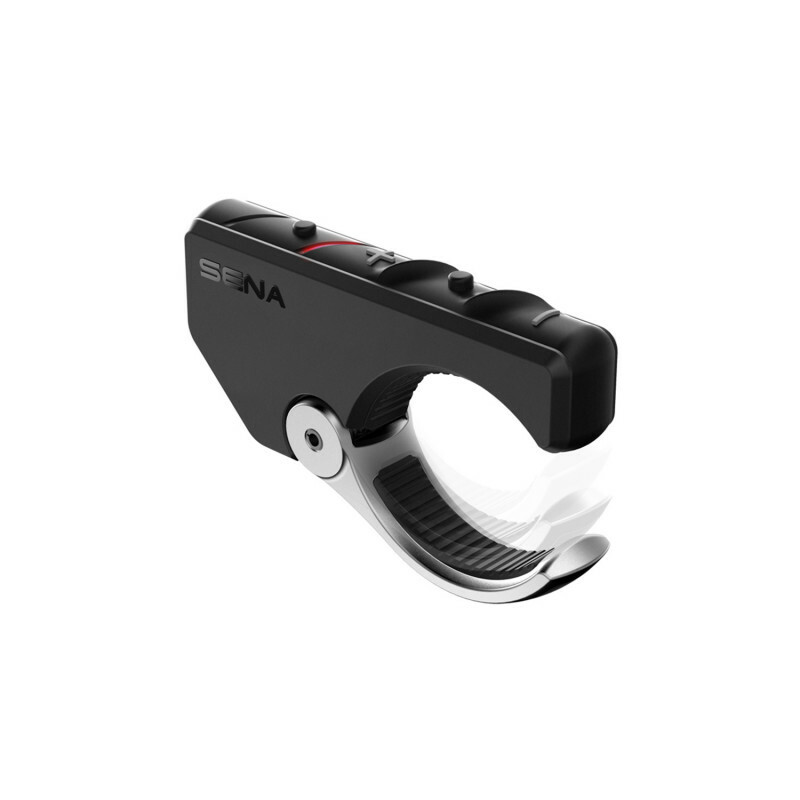 Its glove friendly, 4-button design allows for extremely simple operation, and less distraction while riding. 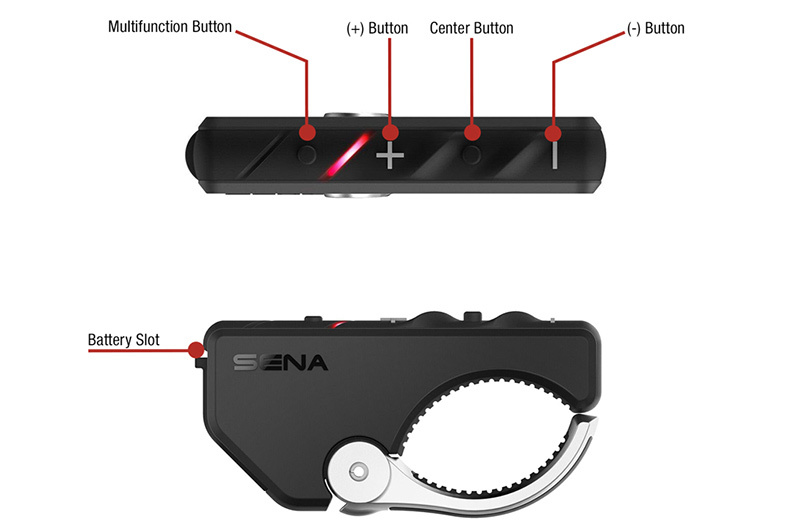 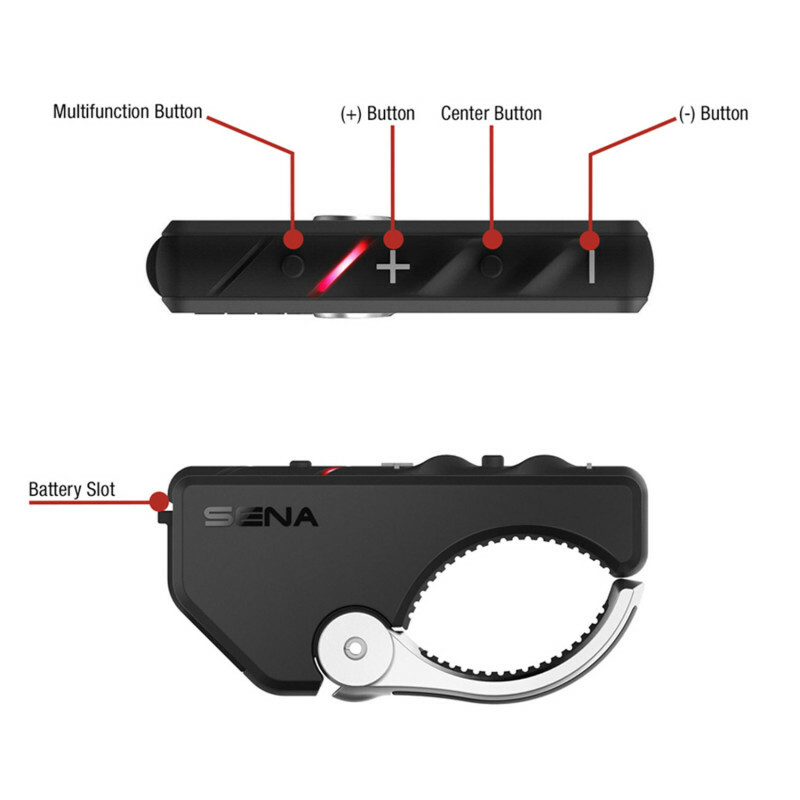 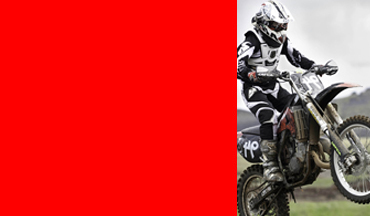 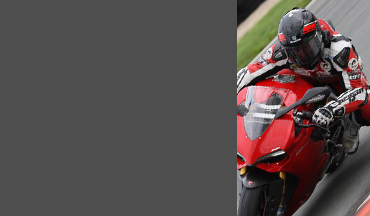 Place the device directly onto your bike's handlebars and you're ready to ride. 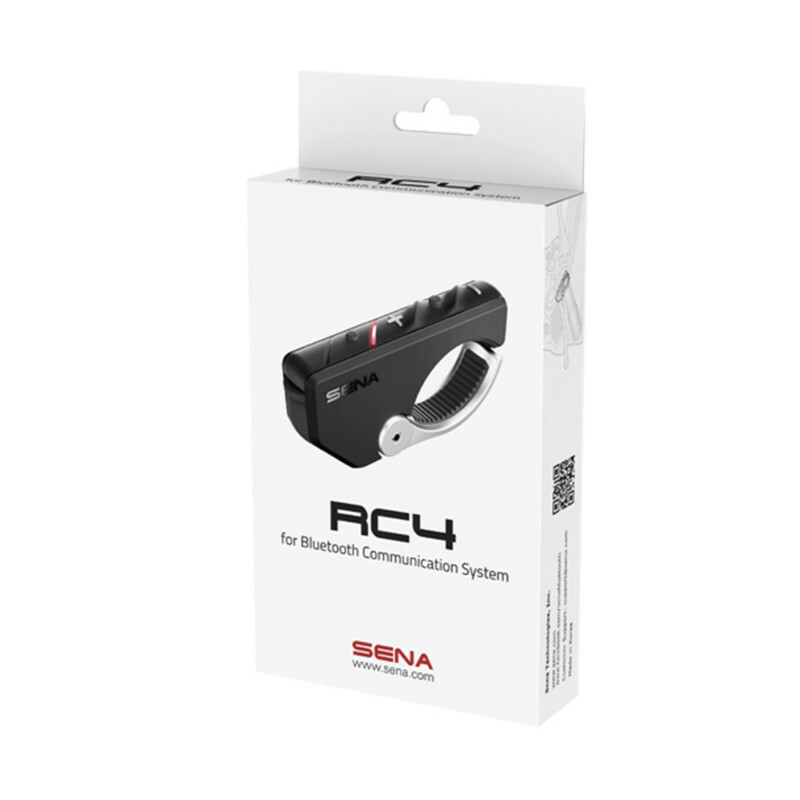 The RC4 features a much more compact design than its predecessor, and fits perfectly on even more types and sizes of handlebars. 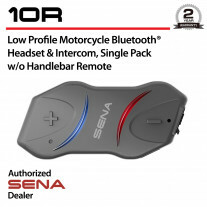 You'll no longer have to reach to your helmet to intercom, answer calls or change a song again. 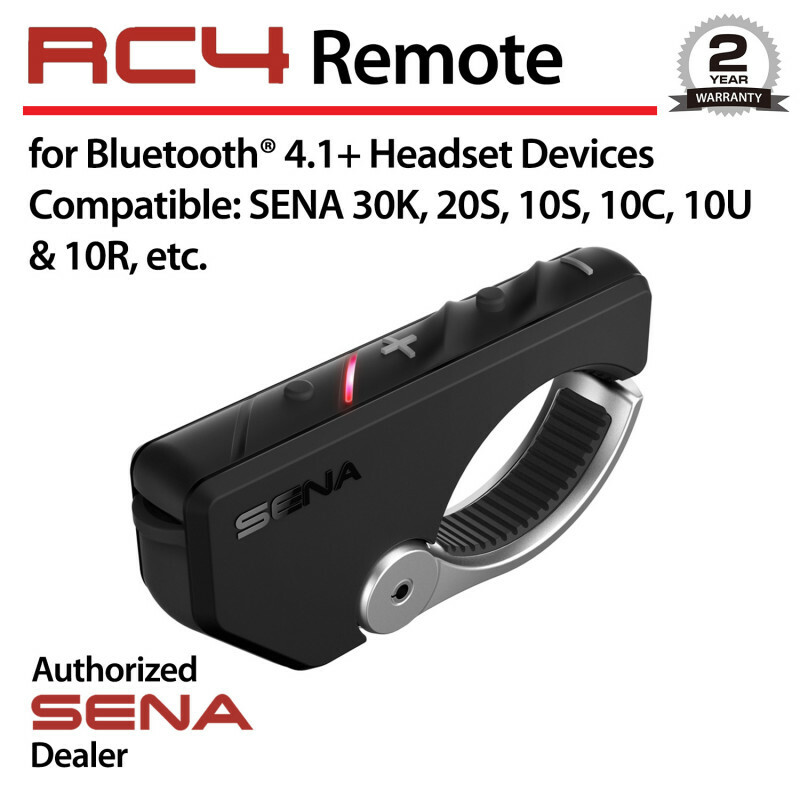 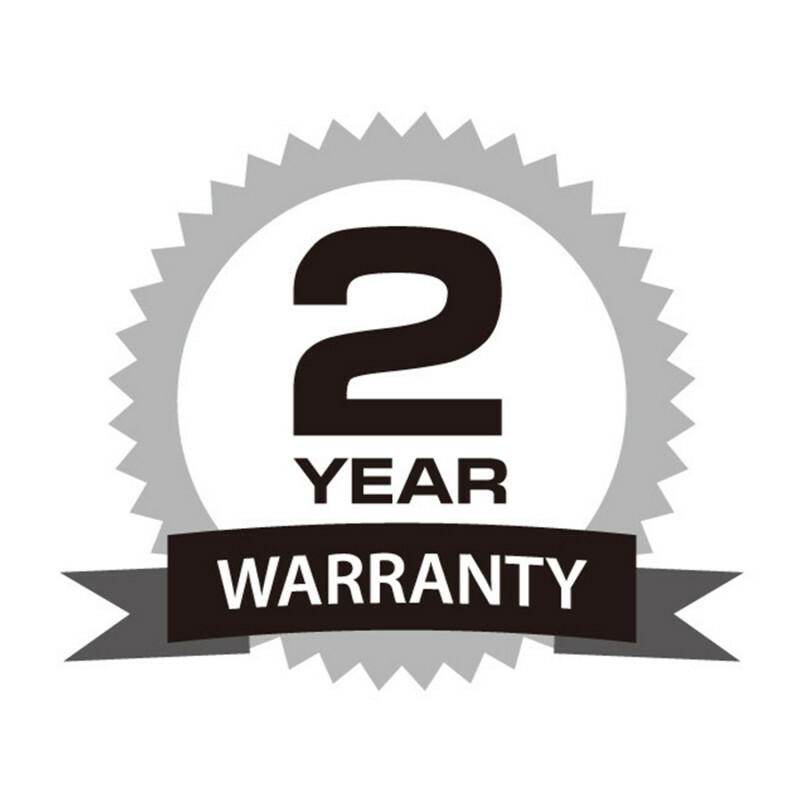 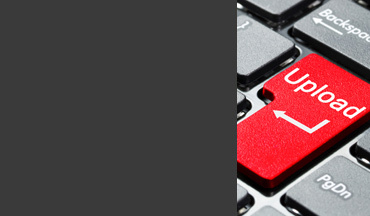 The RC4 has a battery life of about 5 months.